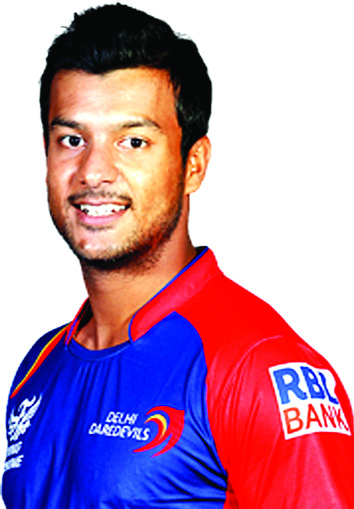 Born on February 16, 1991, Mayank Agarwal in Bangalore, Karnataka, India is an Indian cricketer, and an alumnus of the Bishop Cotton Boys’ School. He is an attacking opening batsman who currently plays Twenty20 cricket for Karnataka. He has played 8 matches for Royal Challengers Bangalore, scoring 141 runs at an average of 20.14. He shot into limelight with his impressive performances in the Under-19 Cooch Behar Trophy in 2008-09 and 2010 ICC Under-19 Cricket World Cup, in which he was the leading run-getter for India. 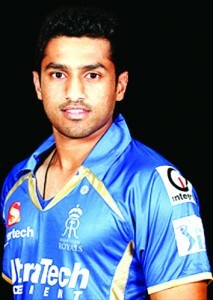 He was also adjudged Man of the Series in the Karnataka Premier League in 2010. He also scored a century in that tournament. 1. Who top scored for India A in the first match of the ongoing Tri-Series against Australia? 2. For which team Kedar Jadhav played in IPL-8? 3. Who won Domel dangal title recently? 4. Which rank Sania Mirza holds in World Tennis? 5. Who is Palak Kour? 1. Lokesh Rahul 2. RCB 3. Briju and Benia Min 4. No-1 5. J&K’s ace Gymnast. The other entries of the week were from Gaurav, Rehari Colony, Jammu; Anil Kumar, Trikuta Nagar, Jammu; Ankit Chauhan, Talab Tilloo, Jammu; Parvez Ganie, Soura Srinagar and Rajiv Sanmotra, Kishtwar.